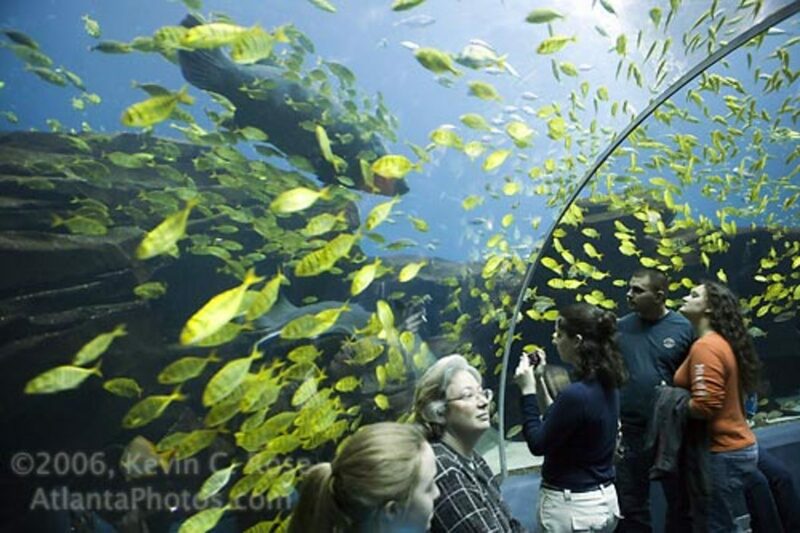 According to reviews on Trip Advisor, the Georgia Aquarium is ranked the 9th best attraction in 177 in all Atlanta. 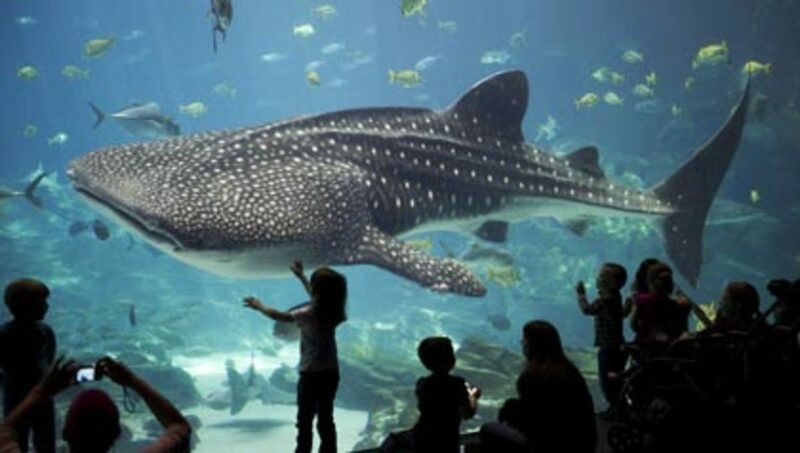 It is the biggest aquarium in the world with more than 500 species that sum up 120,000 creatures in total and the only one to hold two whale sharks outside of Asia. 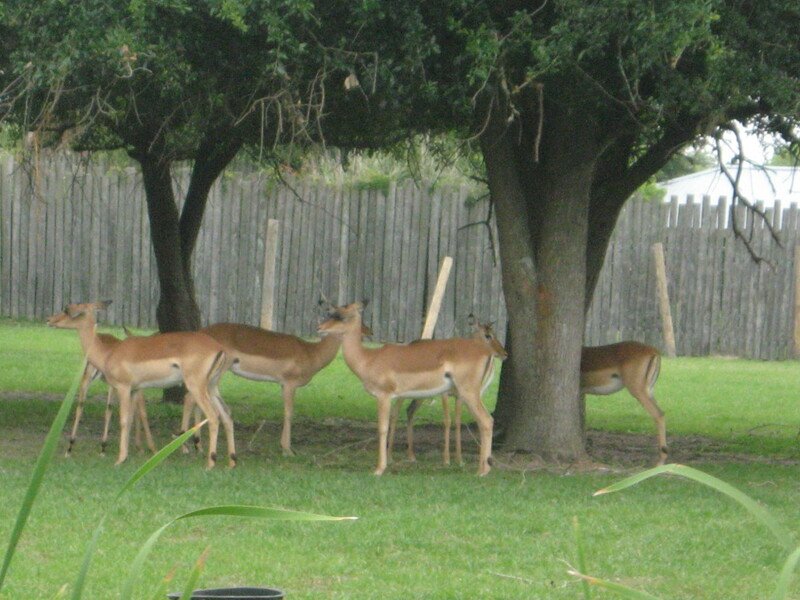 It is also highly visited all year-round, especially during the holidays. So we strongly recommend following our traveling tips so you can get the best out of it and avoid all the bad experiences. 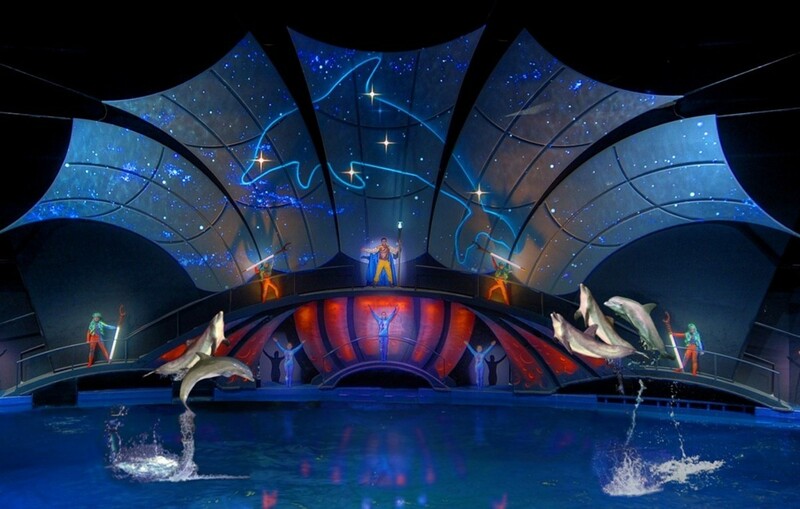 The Aquariums entry ticket covers attendance to the Dolphin Tales Show and the animated movie, Deepos Undersea 4D Wonder Show. 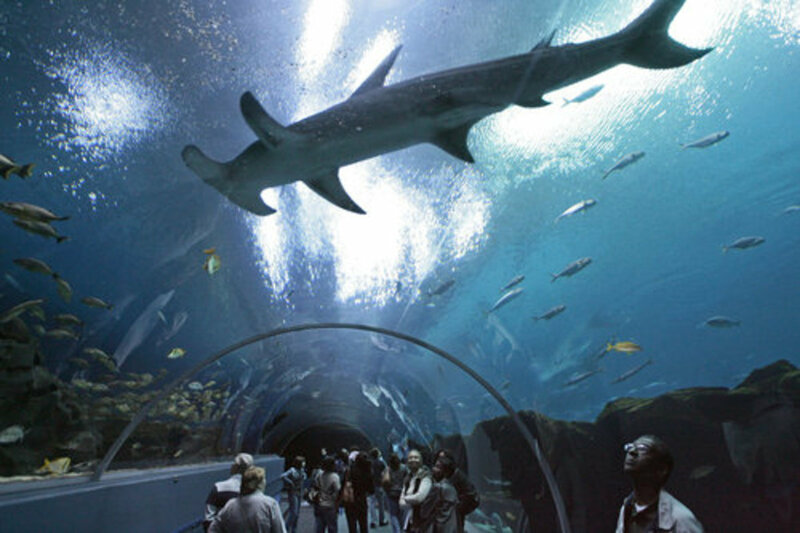 Aside from being the largest Aquarium in the world, GA excels for its underwater tunnels and design. 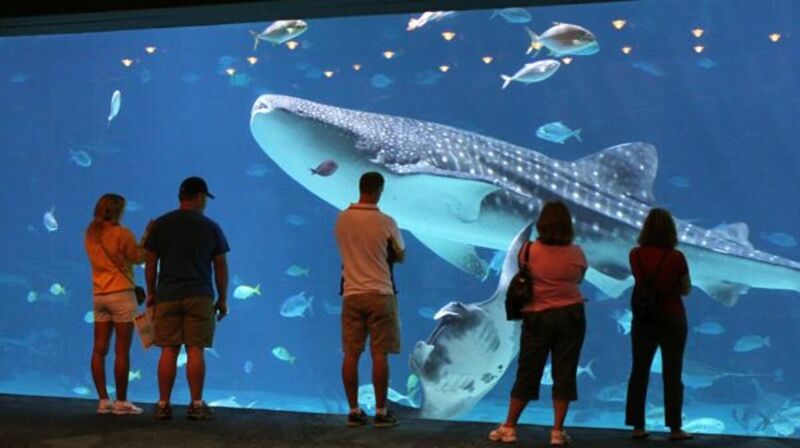 Here are 7 reasons why you should visit the aquarium. It holds a very complete display of marine animals including beluga whales, sawfish, manta rays, African penguins and whale sharks. 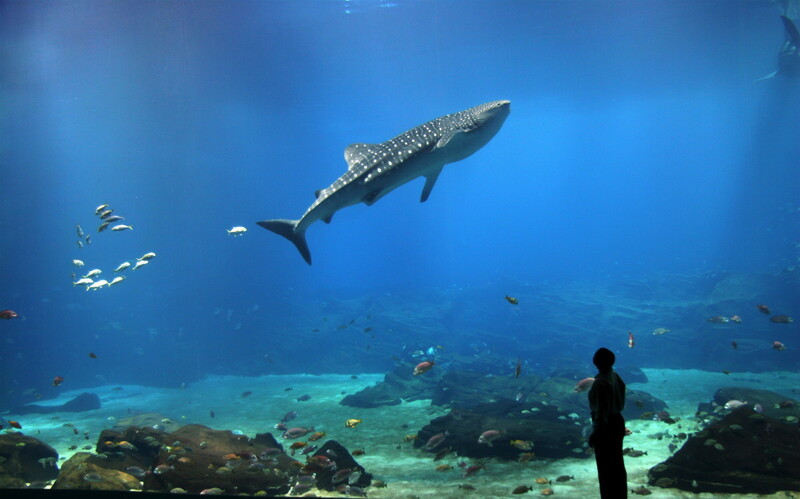 You have the possibility to swim with sharks, whale sharks and manta rays. This special program is purchased separately and allows you to either swim or dive in the aquarium for 30 minutes which some compare to the Great Barrier Reef. The cost is above $100 dollars and requires reservation on their website or through their call center line. Starting September 2013, you will have the possibility to interact with otters, African penguins, beluga whales and the dolphins. 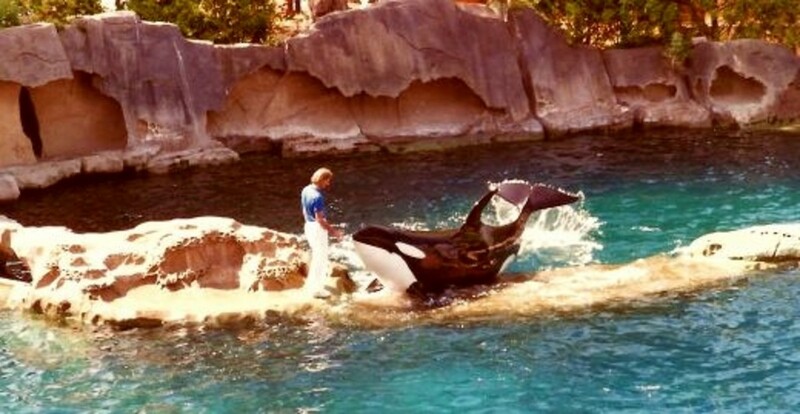 For over 30 minutes you will be instructed in their care, conservation programs inside the pools with them. You get a nice souvenir at the end like a t-shirt or a towel, and the aquarium gives you a personal photo with the animals. More detailed info on these programs below. 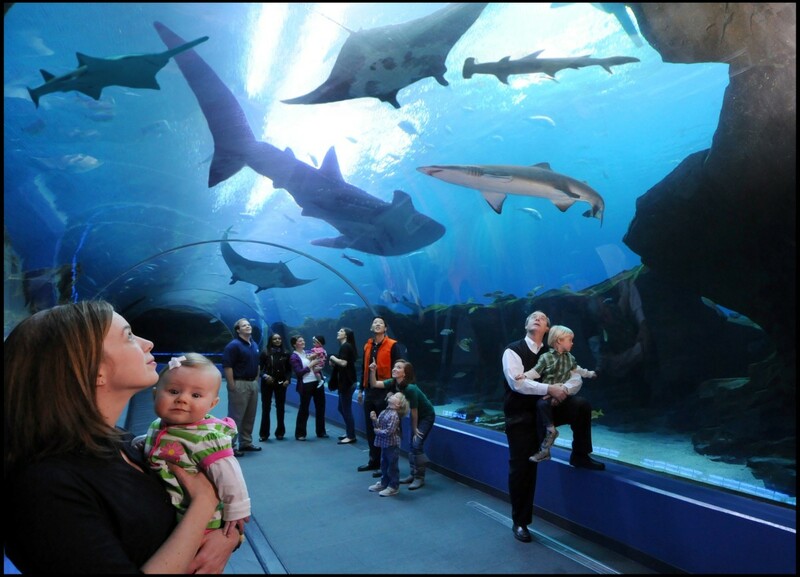 The different sections of the aquarium are nicely build with underwater passages that give you a 180° view of the entire atmosphere above you. 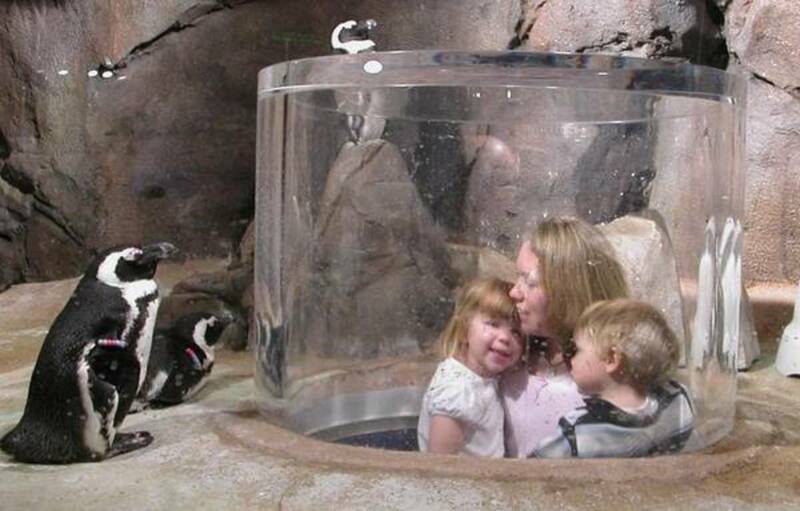 There is also a tunnel going through the African penguin section which allows you to see them slide on the ice above. 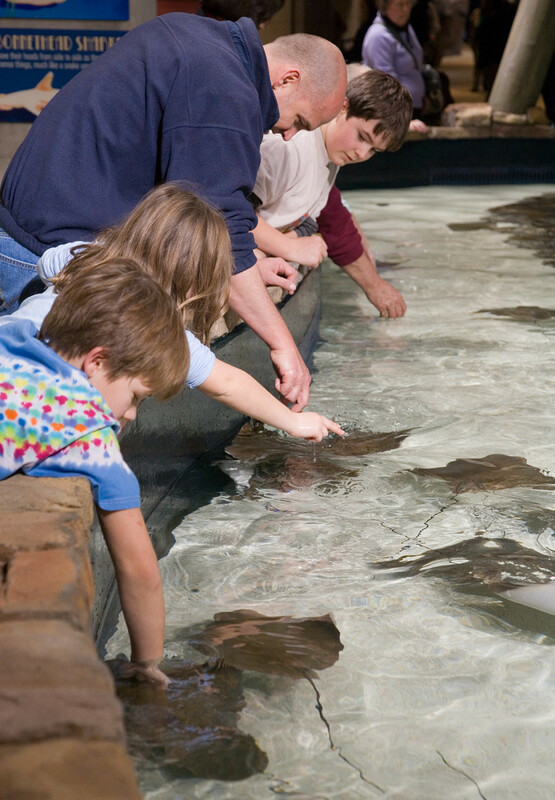 Touch baby sharks, penguins and rays during your tour. Watch Dolphin Tales show which is included in your entry ticket. The show lasts one hour. 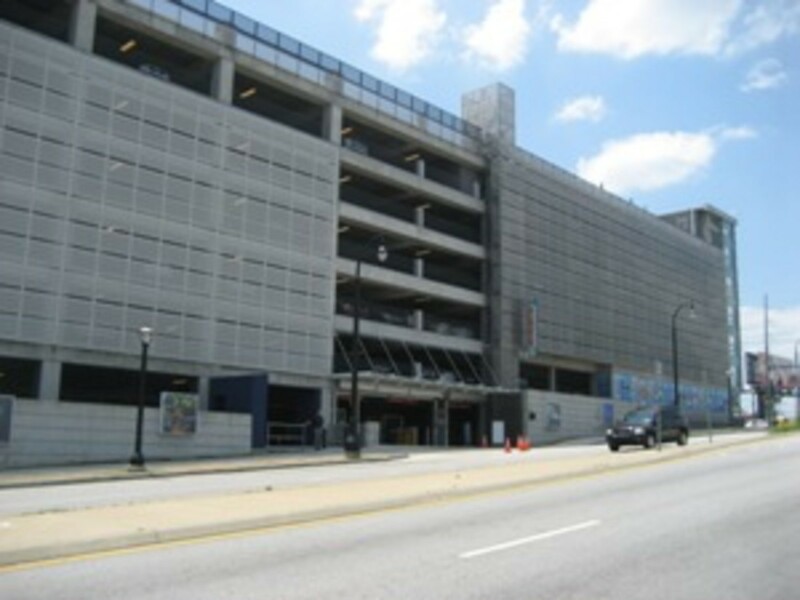 The Aquarium is located just some feet away from World of Coca-Cola, CNN Studios and the Olympic Park. With Atlanta City Pass you can get to visit all three attractions at a discount price that can save you big money if you travel with a large group. So far Georgia Aquarium is pure fun and joy. To keep it like this read these 13 tips to cut lines, save money and avoid all the next 8 bad experiences. 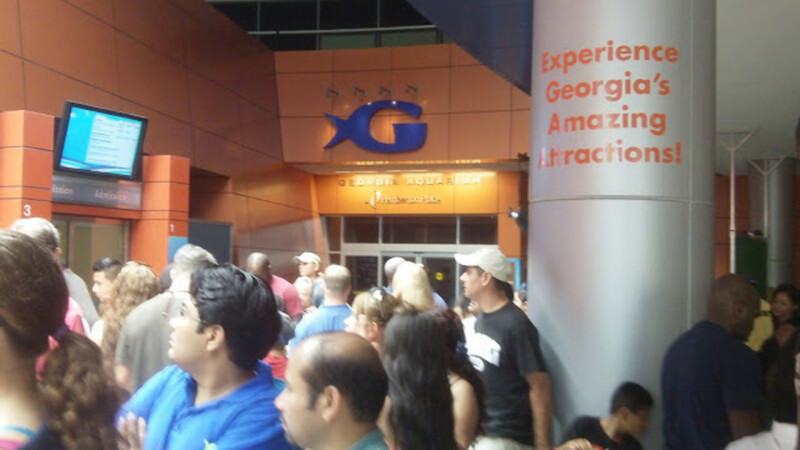 Georgia Aquarium is so attractive that it is visited by hundreds of tourists from around the world and the U.S. 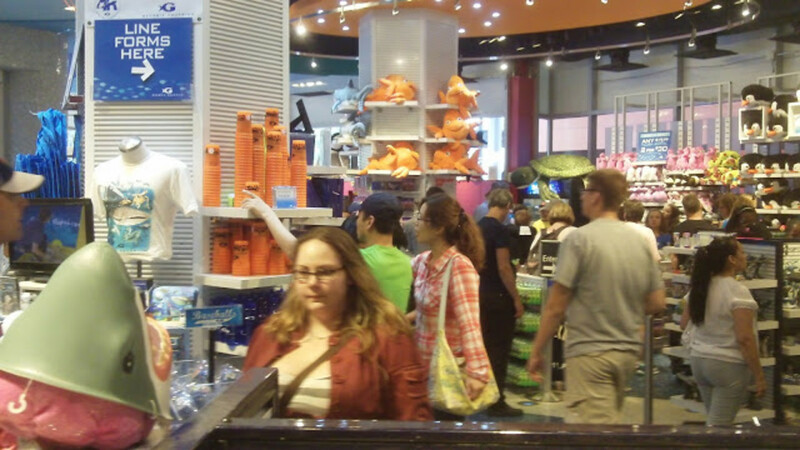 Crowds can really ruin your fantasy trip if you don´t take planning precautions. 1. Crowds, Crowds, Crowds, and more Crowds! According to the descriptions many visitors give, during holiday season the crowds cover the walk tunnels side to side, with noisy running children and big strollers with 4 year olds on them. Avoid going in the holiday seasons, weekends and too late in the day. On a really busy day they can last for 2 hours, and after that you might receive a ticket telling you to come back in 2 hours more. If the Dolphin Tales tickets are sold out, you still got to pay the same entry price. 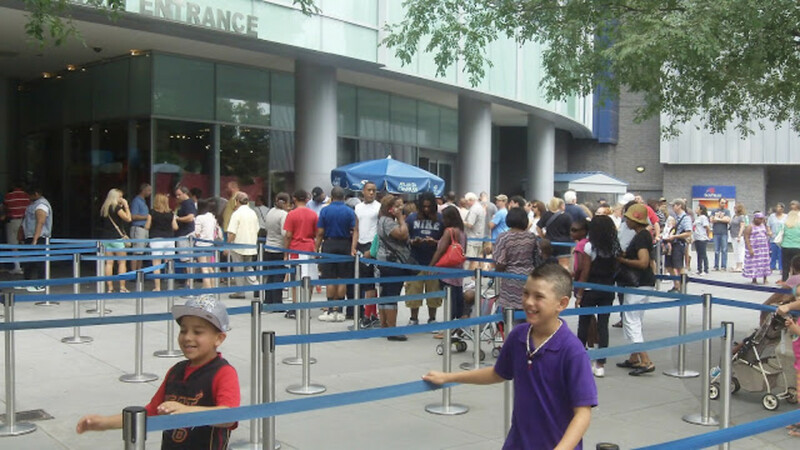 While the distribution of the areas inside is praised, lots of people complaint about the terrible entrance design that makes it very difficult for crowds to move on. 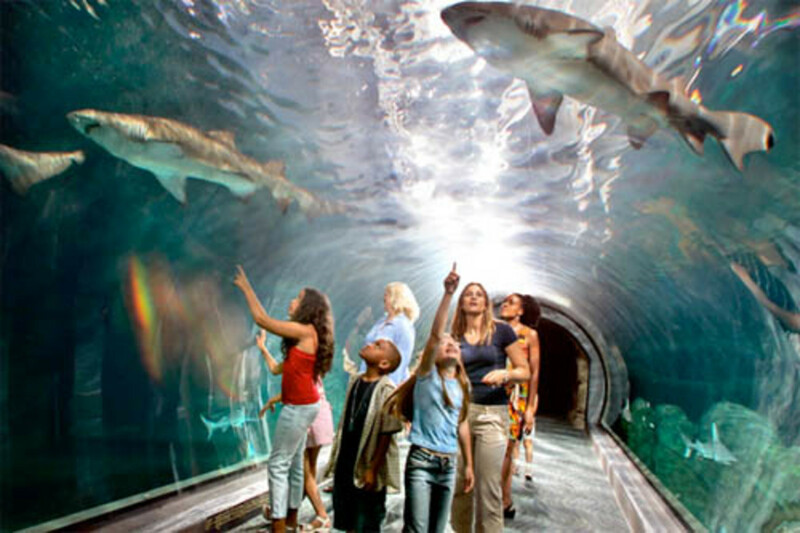 The aquarium programs like Dolphin Tales and the 4D show are designed for small children. 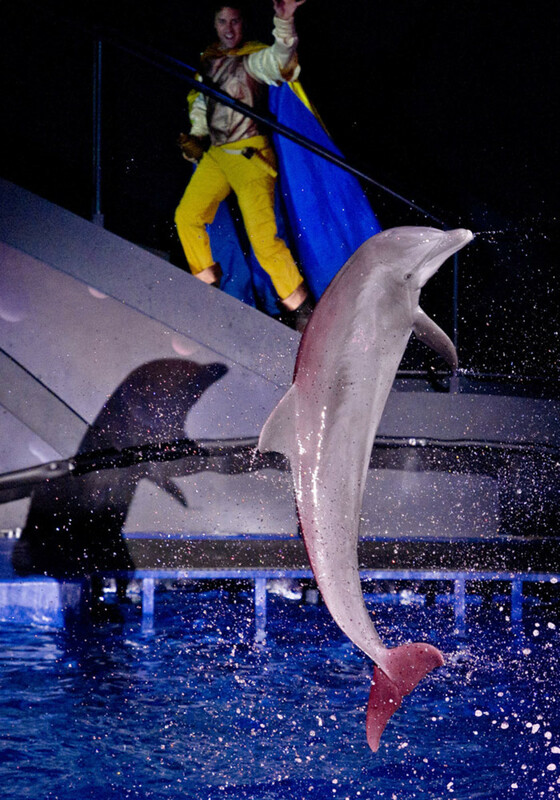 The dolphins perform nice acrobats, but the show is focused on a ridiculous singing led-performer which most adults consider cheesy and boring. The doors of the theater remain closed for the entire 30 minute show, so take a time or two to consider if this is for you. $33 dollars for adults and $29 for children over the age of 3. The Georgia Aquarium is more a place for families with small children. Beware not to stay in the Aquarium until the very end. All of that trapped-in-crowd has to leave at the same time and you will get trapped in the parking lot for more than an hour. Outside its Atlanta rush hour, so getting to the highway can be a long while. A cup of water can cost more than $5 dollars and food prices are just over the roof. Paying $50 dollars for 4 slices of pizza with sodas is just not worth it. Don´t eat in the Aquarium, there´s a nice big meal area just outside on the green area in between The World of Coca Cola called The Pemberton Café. It was named after the inventor of the Coca-Cola formula since Coca-Cola World employees are its biggest customers. 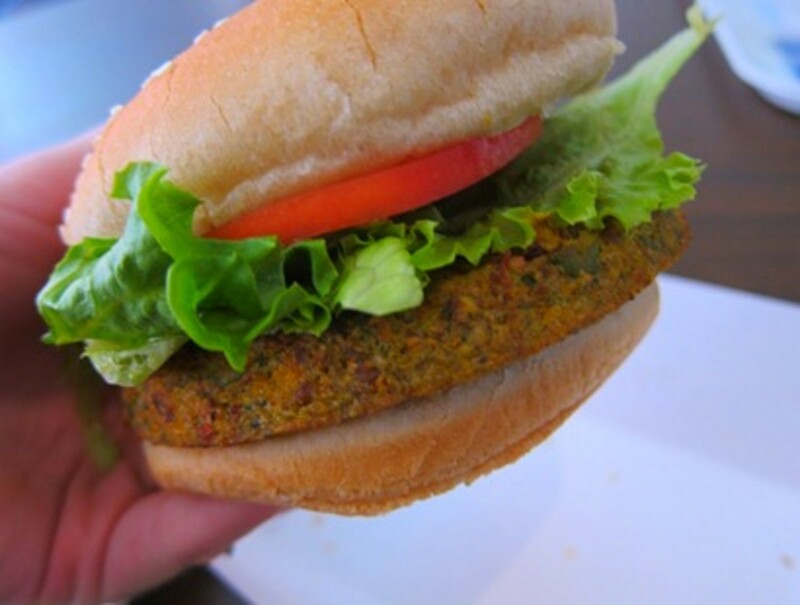 Food is ordered from a digital menu board and it varies from hamburgers to hot dogs, pizza, fresh salads, sandwiches, kid's meals and vegetarian menus. There are even Coca-Cola cupcakes. Menu prices range from $1.29 to $8.99 and Annual Pass holders get a 10% discount. 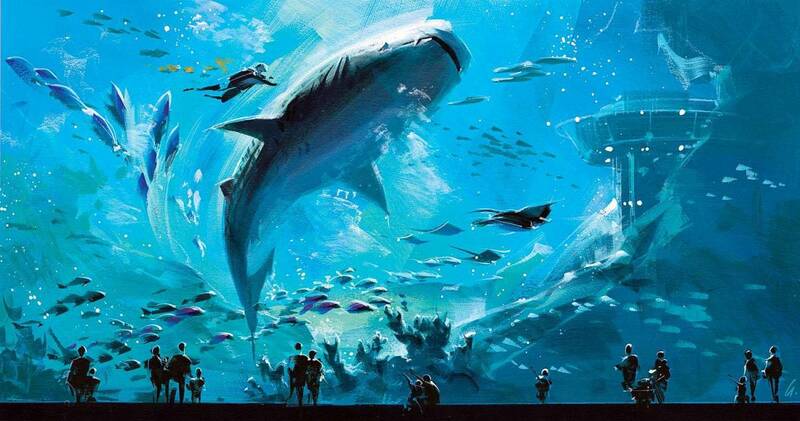 Definitely a better choice than the Aquarium´s cafeteria. 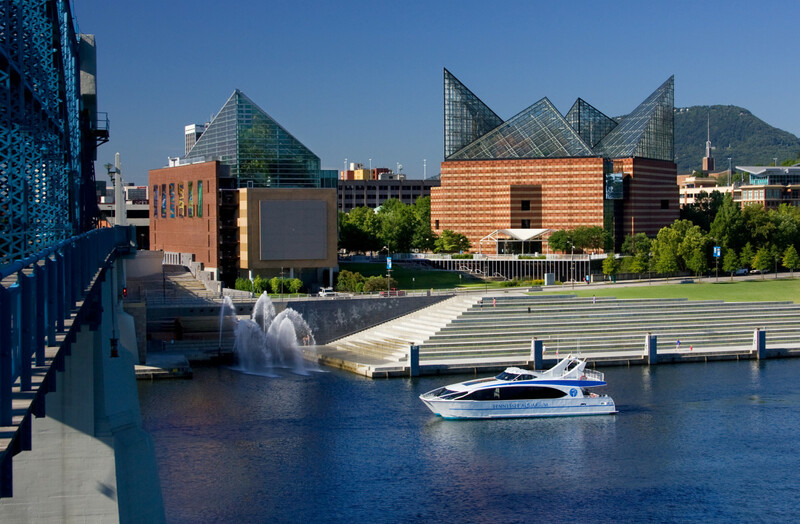 For those that love aquariums but noisy children and long lines is not their deal, then visit Chattanooga Aquarium, just 75 minutes north on I75 from Atlanta. The exhibits are interactive with much less crowd and half price tickets to what you pay at Georgia Aquarium. You do know that Whale Sharks are sharks, not whales, right? Thanks DDE. It is always nice when another member shares your work. Thank you my Queen. I´m planning on adding further additional info about the volunteer program and another hub focused on the animals and facilities. I really enjoyed making this hub. Thanks B. Georgia Aquarium doesn´t seem to stop amazing me. I wanted to ask, what is another recommendation you can give readers of a place to visit in Georgia?? David, this is a hub that's well put together with lots of pictures and videos. 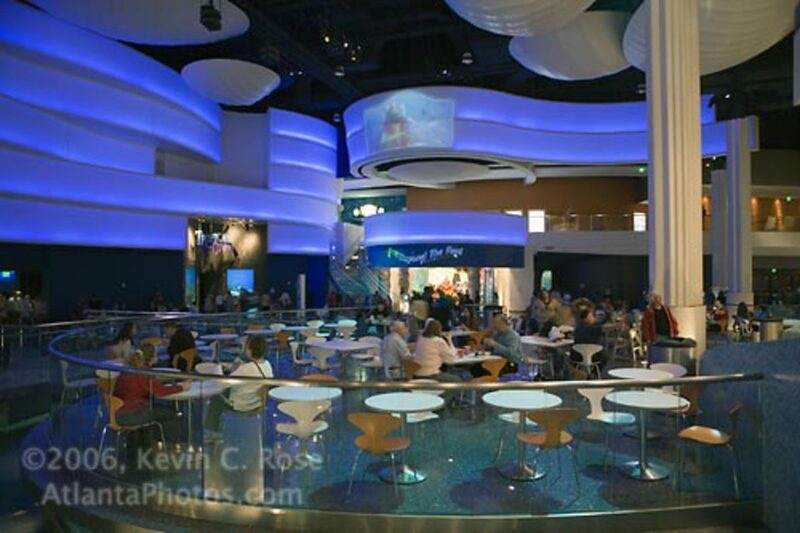 I even have similar images as yours in my personal collection as my family's favorite place to visit is the Georgia Aquarium, since we live here in Georgia. I especially love to interact with the otters and penguins. It's always an awesome experience each time we visit. This hub gets a thumb up and very useful for those planning to travel to my neck of the wood. Y'all come by now, ya hear! You've included some really great information here from location to food prices. The traffic tips and nearby aquarium are an added bonus to anyone outside of Georgia who would have no idea. Very well done.